Blue River, BC, December 16, 2011 - Mike Wiegele Helicopter Skiing and The North Face are pleased to announce an exciting new cooperative marketing partnership. Within the partnership, all Wiegele Guides will be outfitted in custom designed North Face jacket and bib pant, utilizing the heliskiing operation as the ultimate testing centre for the high end technical gear. Working together with the Wiegele Team over the past year, The North Face designers constructed a custom guiding jacket and bib pant to suit to the specific needs of Wiegele Guides. &nbsp;&ldquo;I&rsquo;m excited to be working with such a high end company to develop such high end suits for our guides and clients. There is nothing worse than a cold, miserable guide&rdquo; remarks Bob Sayer, Mike Wiegele helicopter Skiing&rsquo;s Guiding Operation Manager. On average, Wiegele Guides spend 120-140 days a year working in a harsh mountain environment. &nbsp;Nothing tests a suit better, ensuring it will withstand years of recreational use than subjecting it daily to backcountry weather conditions and the abuse of a professional heliskiing guide. With both companies boasting over 40 years of being in business, providing impeccable products and a superior experience, the transition to partnership was easy. &ldquo;It is important that we provide only the best to both our clients and our staff. Both our customers and the Wiegele Team rely on quality products that can stand the test of time. 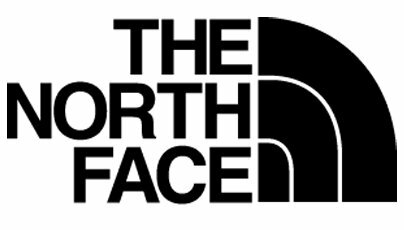 The North Face is a leader in the industry and I couldn&rsquo;t be happier to align ourselves with such a reputable and distinguished company&rdquo; notes Mike Wiegele. The partnership also includes various marketing initiatives, including guest appreciation receptions at The North Face flagship stores worldwide. This past fall, the Wiegele Sales Team held several receptions around the globe and looks forward to visiting and celebrating both The North Face and Wiegele guests into the future.